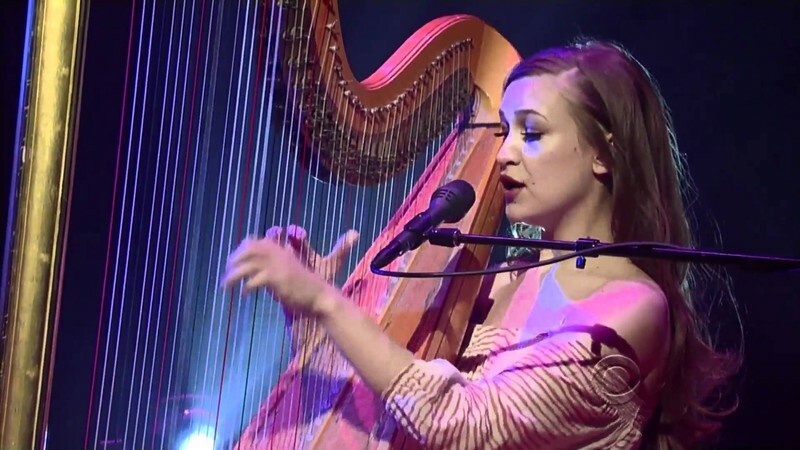 Joanna Caroline Newsom (born January 18, 1982) is an American harpist, keyboardist, vocalist, songwriter and actress. Newsom was born and raised in the small town of Nevada City, California. Her mother, Christine (née Mueller), is an internist, and her father, William Newsom, is also a doctor. Her parents were "progressive-minded professionals" who previously lived in the Bay Area. Newsom's family includes her brother, Pete, a fellow musician, and sister, Emily, who inspired her song "Emily" (and contributed backing vocals). She is the second cousin, twice removed, of Lieutenant Governor Gavin Newsom of California. In 2002 and 2003, Newsom recorded two EPs, Walnut Whales and Yarn and Glue. These homemade recordings were intended to serve as a document of her early work. These EPs were not intended for public distribution. At the suggestion of Noah Georgeson, her then-boyfriend and recording engineer of the EP, she burned several copies to sell at her early shows. Jon Fellman, co-producer of Mission Creek Music and Arts Festival, claims that Neil Martinson was the first to have booked a show for her at his club, SMiLE!. In addition to her solo work, Newsom has played on records by Smog, Vetiver, Nervous Cop, The Year Zero, Vashti Bunyan, Moore Brothers, Sydney Symphony Orchestra, Golden Shoulders, The Roots, and Thao & The Get Down Stay Down, and played keyboards for The Pleased. She provided additional vocals for The Lonely Island's songs "Ras Trent" and "We Are A Crowd".